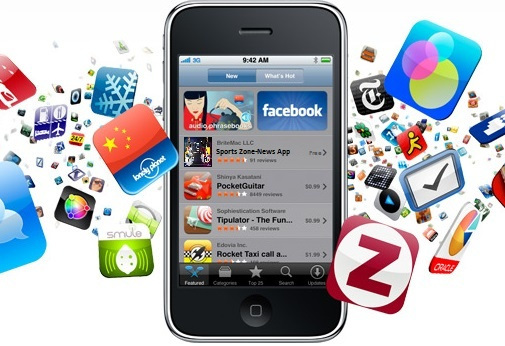 What are the advantages of having a mobile app for my business? Companies naturally tend to maximize the efficiency of their resources and make the most of them. In conjunction with the growing trend of using smartphones, mobile app development companies have become a strategy the can produce a lot of benefits for your company. What does a mobile app provide for my business? Strengthening the brand is one of the main benefits for companies to develop their own mobile apps. Furthermore having a presence on mobile devices will much better position your brand, as customers can navigate around the application anywhere and anytime, whether it is during their leisure time or long journeys. The ability to synchronize the app with social networks improves the diffusion of virtualization content. Customers themselves are responsible for their networks; this means they can easily share your content on their social networks, in effect creating more exposure for your brand and a possibility to gain customers. For small and medium business that do not have a team of developers prefer to outsource talent from platforms like Yeeply, this makes carrying out projects efficient and effective. Moving on, another advantage for both customer and company that it is fluid provides unrestricted communication. That is if your mobile app has a feature were customers could contact you at anytime, without having to wait to call during office hours and without spending a penny. Ultimately this will increase efficiency, reduce costs, grow sales and overall build your company’s image. You can also direct different profiles; such as customers or investors and have direct communication with them. Furthermore it is also possible to make special offers to retain customers. Developing a mobile app is not free; in fact it is far from that. Depending on the characteristics, the price of an app can vary greatly, so you should first ask yourself if it’s worth developing? Above all, developing an app for smartphones and tablets should be visually appealing for your end user and potential clients. A study carried out by Statista showed that more than 50 billion apps were downloaded from the Play Store alone in 2013, and this number is growing. In addition another graph provided by Statista demonstrates that the top three categories in the App store is games, education and business. The differentiation from other apps by companies in the same industry as you along with optimization within the app stores is two maxims to take into account.